Award-winning Elkins car accident lawyers for serious injury claims, call today to learn if you have a case. Remember, if you wait, you may too late to file a claim. When you have been in an accident, your life can be put on hold. Injury, property damage, and financial strain can make your life come screeching to a halt, yet still, everything around you is in constant motion as usual. It is important for you to get back to normal as quickly as possible. This usually cannot begin until the insurance pays, and Robinette Legal Group's team of experts is able to help you achieve this. They are ready to guide Elkins residents through every step of the insurance claims process and ensure that you receive every compensation due to you. Elkins, WV is a town with over 7,000 residents in Randolph County. Along with smaller residential roads, the main roads that go through Elkins are Routes 92, 33, and 250. Having these three main roads come together in Elkins brings in a good bit of traffic to the otherwise quiet, rural area. Shopping, restaurants, and lodging can all be found in Elkins. Apart from the businesses that can be conveniently found there, Elkins is known for nearby vacation destinations in Canaan Valley State Park. This whole area is characteristic of wild and wonderful West Virginia. 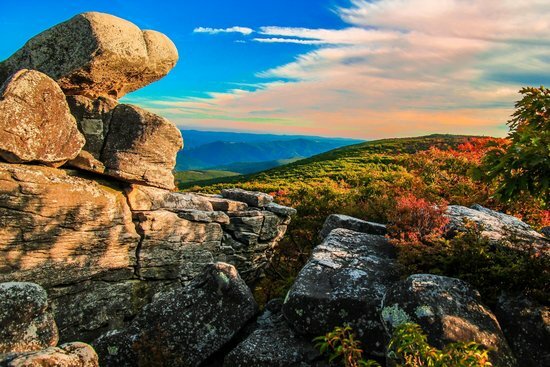 Some of the many sights to see in Canaan Valley State Park to visit are Blackwater Falls, Seneca Rocks, Seneca Caverns, and Smoke Hole Caverns. There are also trails for hiking and biking of varying difficulties. Also in Canaan Valley State Park is the Canaan Valley Resort and Conference Center. The resort features golfing, geocaching, pools, and much more. Accommodations range from camping to suites to cabins. The average commute time to work for Elkins residents is 15 minutes, so most residents work locally. This helps to reduce the risk for accidents simply by reducing the amount of time on the road. However, the average amount of snow that Elkins gets in the winter is well above the United States average. The best option when the roads are snowy and icy is to stay safe at home, but for many, this is not an option, so here are some tips from AAA to help you drive more safely on snowy roads. · Slow down. Slippery roads do not always allow quick stops, and if the driver tries to stop the vehicle too quickly, the vehicle can go out of control. · Accelerate and brake gently. Stopping or starting too quickly can cause the vehicle to begin sliding and go out of the control of the driver. · Read the owner's manual for your vehicle to know how to best operate your brakes in winter weather. Different types of safety features on brakes will require different types of operation to work properly. · Leave plenty of room between vehicles. Again, braking too hard can cause the vehicle to go out of control, so leave plenty of room between you and the next vehicle to give extra time to stop. If you have been injured in an accident in Elkins, WV, Robinette Legal Group is ready to help you get the compensation you need to get your life back on track as quickly as possible. The sooner you call, the sooner the process can begin. Call today to schedule a consultation. Call 304.594.1800 Today. We answer questions about accident insurance claims everyday and would be glad to answer yours.